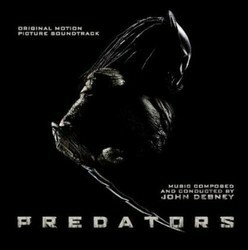 Presenting the original motion picture score to the blockbuster 20th Century Fox sci-fi/action feature film PREDATORS, starring Adrien Brody, Laurence Fishburne, Danny Trejo and Topher Grace, directed by Nimrod Antal and produced by Robert Rodriguez (SIN CITY, DESPERADO, PLANET TERROR, MACHETE). 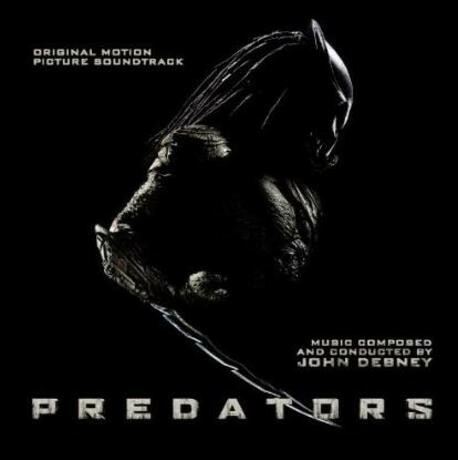 Acclaimed composer John Debney (IRON MAN 2, PASSION OF THE CHRIST, SIN CITY, THE RELIC), ratchets up all the action and suspense of this latest hit installment of the legendary PREDATOR franchise with a propulsive orchestral score that skillfully incorporates Alan Silvestri’s iconic themes from the original film. CD Booklet features exclusive art and liner notes from film writer Daniel Schweiger, composer Debney, producer Rodriguez and director Antal.